Torh Di Bandon Ne Aaqaon Ke Khaimon Ki Tanab! Analyzing Imran Khan's comments, Indian author and journalist Pankaj Mishra says that Iqbal felt "democracy and capitalism had empowered a privileged elite in the name of the people". It seems to me that "Occupy Wall Street" protesters also appear to be inspired by Iqbal's thoughts about the extraordinary power of the elite in democracy and capitalism as practiced in the West. In a recent Businessweek piece titled "Islam Offers a Third Way in Pakistan and Tunisia", Mishra compares Imran Khan with the "democratic Islamist" Tunisian leader Rashid Ghannouchi. "Confronted with extreme inequality and corrupt Westernized elites, many Muslim thinkers had already begun to present Islam as a guarantee of social justice. Setting up the Muslim Brotherhood in Egypt in 1928, Hassan al-Banna advocated the redistribution of wealth, and a crackdown on venal politicians and businessmen. Protector of women’s honor, tester of men A message of death for all sorts of slavery Undivided amongst kings and beggars Cleans the wealth of all its filth Makes the rich the custodians of riches What could be greater than this revolution? Not to kings but to God belongs the land. I have been thinking of Iqbal’s lines in recent weeks as the Islamist democrats of Rashid Ghannouchi’s Ennahdha party triumphed in Tunisia’s first free elections in years, and the cricketer-turned-politician Imran Khan -- declared by Pew Research Center to be the most popular political figure in Pakistan -- staged a huge rally in Lahore, staking his first serious claim to power." "Like many leaders and thinkers in Islamic countries, both traveled through secular ideologies and lifestyles -- Ghannouchi as a Nasserite socialist, Khan as a denizen of London’s social scene -- before arriving at a worldview grounded in Islam. More importantly, their respective countries have stumbled through many failed postcolonial experiments with Western political and economic systems, resulting in wayward elected governments and uneven economic development, before arriving at their current rendezvous with political Islam. It may seem more understandable that a majority of Tunisians, who have suffered from a secular and kleptocratic despotism, want to experiment with a more Islamic polity. But why would Pakistanis, who felt the coercive power of an Islamic state for almost a decade under the military dictatorship of Mohammad Zia Ul-Haq, want to do the same? 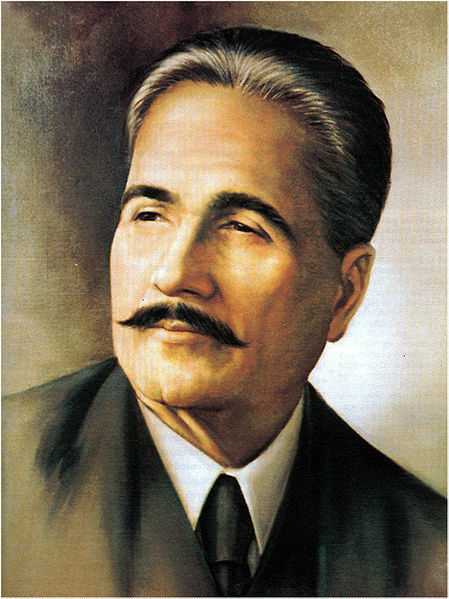 For many nationalist and reflexively conservative Pakistanis, Imran Khan’s belief that “if we follow Iqbal’s teaching, we can reverse the growing gap between Westernized rich and traditional poor that helps fuel fundamentalism” is not the empty rhetoric it may sound to a Westernized Pakistani." idealism is inversely proportional to the distance from the ground situation. Capitlism exists because itt is a form of organization which is closest to human psyche. It is in the nature of men to work hard aand innovate if his efforts are rewarded. socialism failed for the same reason. 'from each according to his ability to each according to his need' is a noble idea but when push comes to shove 99% of people won't sacrifice their luxuries for another persons basic needs.Sad but that's just how things are. Anon: "Capitlism exists because itt is a form of organization which is closest to human psyche....when push comes to shove 99% of people won't sacrifice their luxuries for another persons basic needs.Sad but that's just how things are." Enlightened self-interest is also part of human psyche....a concept British economist John Maynard Keynes understood well as a way to save capitalism from capitalists. As the modern system of capitalism faces the most serious challenge of its existence since Adam Smith, the name of John Maynard Keynes (1883-1946) is being regularly invoked by economists, politicians, bankers, and the media. And with good reason. Born in Cambridge, England, in 1883, the year Karl Marx died, Keynes probably saved capitalism from itself and kept Communists at bay. Keynesian Economics advocates the use of government monetary and fiscal policy to maintain full employment with low inflation. Keynes described Capitalism in the following words: "Capitalism is the astounding belief that the most wickedest of men will do the most wickedest of things for the greatest good of everyone." A well-known anti-Semite, Keynes once said, "It is not agreeable to see civilization so under the ugly thumbs of its impure Jews who have all the money and the power and brains." As in the past financial crises, powerful Jews on Wall Street and in Washington are being held responsible by many as the culprits of the current economic collapse. Philosophy aside, Imran Khan's Movement is about gaining the freedom which never came to Pakistan after the British left the sub-continent. The white sahibs were replaced by the brown sahibs, and it was business as usual. The sardars, jagirdars and waderas who had been allowed to treat their tenants like dirt as long as they remained loyal to the King Emperor, were left untouched. In this respect, Parvez Musharraf's introduction of the Nazim system was a brilliant and effective means of bringing democracy to the grassroots - a system which would provide a training ground for holders of public office, so that they could rise through the ranks, as they do in Western democracies through county councils, board of supervisors, etc. Eventually this would have put an end to the politics of patronage and proteges. Hopefully, Imran Khan would restore power to the people, bring back the looted wealth, and introduce judicial reforms so that the plunderers and looters could be speedily punished. People here may be disillusioned because in their collective memory they have never lived under tyranny. They consider it as natural as breathing air when they protest or abuse existing politicians in the public square. ..The problems of the US system are all too apparent when compared with the classic British Westminster system: parliamentary, with first-past-the-post voting, no federalism or decentralisation, and no written constitution or judicial review. Under such a system, governments are typically backed by a strong legislative majority. The present government’s coalition is highly unusual for the UK, which typically gives the leading party a strong parliamentary majority. A simple majority plus one in the House of Commons can make or overturn any law in the land, which is why it has sometimes been referred to as a democratic dictatorship. The American system, by contrast, splits power between a president and a two-chamber Congress; devolves power to states and local government; and permits the courts to overturn legislation on constitutional grounds. The system is deliberately engineered to put obstacles in the way of decisive government, which in turn is the result of a political culture strongly suspicious of centralised power. The advantage of the British system with its fewer opportunities to cast vetoes is clear when it comes to passing budgets. The budget is written by the chancellor of the exchequer, who as an executive agent makes the difficult trade-offs between spending and taxes. This budget is passed by parliament, with little modification, a week or two after the government introduces it. In the American system, by contrast, the president announces a budget at the beginning of the fiscal cycle; it is more an aspirational document than a political reality. The US constitution firmly locates spending authority in Congress, and indeed all 535 members of Congress use their potential veto power to extract concessions. The budget that eventually emerges after months of interest group lobbying is the product not of a coherent government plan, but of horse-trading among individual legislators, who always find it easier to achieve consensus by exchanging spending increases for tax cuts. Hence the permanent bias towards deficits. In addition to the checks and balances mandated by the constitution, Congress has added a host of further opportunities for legislators to use their veto power to blackmail the system, such as the anonymous holds that any of 100 senators may place on executive branch appointments. A particularly egregious example of this is taking place today. The Obama administration has wanted to appoint Michael McFaul ambassador to Russia, but the foreign relations committee has put off action indefinitely due to the objections of certain unnamed Republican senators. Mr McFaul – formerly a professor at Stanford (and also a longtime friend) – has been senior director for Russian and Eurasian affairs at the National Security Council for the past three years and is widely regarded even by the Republicans as well qualified for the job. Foreign Policy magazine has reported that one of the holds is due to a senator wanting the federal government to build a facility in his state. As a result, the US may not have an ambassador in place in Moscow next March as the Russians vote for a new president. 1. He was traitor musharraf's MINISTER of state for interior for 5 years. ISLAMABAD: Pakistan’s ex-foreign minister Shah Mehmood Qureshi joined forces with cricketer-politician Imran Khan Sunday, becoming the most high-profile defector to his growing campaign to win the next general election. Qureshi made the announcement at a rally led by Khan in the southern town of Ghotki, part of the broad hinterland in the southern province of Sindh and central province of Punjab where the former minister is considered powerful. “I announce I am joining a movement, which is struggling to win justice for people,” Qureshi said of Khan’s Tehrik-e-Insaaf (Movement for Justice) which is fast emerging as a powerful player in the run-up to elections due early 2013. Qureshi lost his position as cabinet minister in a February reshuffle. He was offered another portfolio, which he refused, and this month resigned as lawmaker representing the main ruling Pakistan People’s Party (PPP). “Winds of change have now begun,” Qureshi told the rally attended by several thousand supporters 420 kilometres (260 miles) north of Karachi, Pakistan’s port city used by the US to ship supplies to landlocked Afghanistan. “I am embarking on a new journey and from today onwards, Shah Mehmood is part of your team,” he told Khan to thunderous applause. Qureshi fell out with President Asif Ali Zardari around the time of the reshuffle and says he withstood pressure to approve diplomatic immunity for a CIA contractor who killed two Pakistanis in Lahore in January. He used the rally to criticise Zardari, whose five-year mandate expires in 2013, a day after Pakistan was plunged into fresh crisis with the US over accusations that Nato air strikes killed 24 Pakistani soldiers on the Afghan border. “They have indulged in loot and plunder,” he said. “The time has come to seek a fresh mandate from the people,” Qureshi added. Khan, a staunch critic of the US alliance, condemned the Nato strike and demanded that Pakistan order all CIA agents to leave in protest. “We should raise the issue at the UN Security Council because it was an attack on our country and soldiers,” he said. Opinions about Imran Khan are divided.I also do not like him much,particularly his arrogant manners and day dreaming ,and also the type of people joining his party.What sort of revolution he will bring through notorious people like Masood Sharif,Our Adamjee class fellow Jahangir Tareen ,from people who were with coward Musharraf and leftovers of PPP and Q league, is difficult to comprehend. Are the people of Pakistan going to fall in another trap by establishment man,whose recent statements about Kashmir,about Islamic forces and about USA should alarm people of days ahead? Najam: "What sort of revolution he will bring through notorious people like Masood Sharif"
Our neighbor India also has a lot of corrupt politicians and bureaucrats but they are still better off politically because Prime Minister Manmohan Singh is Mr. Clean. I see Imran Khan as Mr. Clean for Pakistan, and his presence at the top will help improve the situation in Pakistan. Imran Khan was arrogant when he put Pakistan Cricket on winning streak and won the world cup and he was arrogant when he built the Shaukat Khanam. He has been arrogant all along. He is still arrogant – this is clear from the way he addresses his political opponents. This is not a quality one would be proud of ! But an arrogant is better than a plunderer, a money sucker parasite and a dacoit. Arrogant he is and womanizer he was but he is not corrupt (or let us say not so corrupt) – he has not given up against strong odds and he is a determined soul, He has a knack of delivering results. He may not be the best choice but he is the only choice. The people of Pakistan have started seeing him as their only hope. The success at Meenar e Pakistan was a manifestation of people desire for a change. Even his strongest adversaries have started realizing that he is now a force to reckon with. The people are with him now, the young, the old, men and women – I had seen it with my eyes when I went to attend his gathering at neti -geti bridge. I like to take morning walks. Last week while walking on the lawn of Askari - IV parks, I met with an acquaintance who said, “In the last election I supported MQM and my wife was with JI. This time over my wife has announced that she would vote for IK and I have decided that I will do the same.” The good thing is that he is not alone – a large number of friends, relatives and people from power industry that I come across are telling me the same thing. This change is the result of unprecedented loot and plunder and injustice brought upon by the present rulers. More than 100,000 people rallied in support of Pakistani cricket legend and opposition politician Imran Khan in the southern city of Karachi on Sunday, further cementing his status as a rising force in politics. His message of cracking down on corruption and standing up to the U.S. has found new resonance at a time when Pakistanis are fed up with the country’s chronic insecurity and economic malaise. Khan has been especially popular with the country’s urban middle class youth, and many of the people at the rally were young Pakistanis wearing Western clothes. Two prominent politicians who have joined Khan’s party in recent months include former Foreign Minister Shah Mahmood Qureshi, who had a falling out with the ruling Pakistan People’s Party, and Javed Hashmi, who was a key member of the main opposition party, Pakistan Muslim League-Nawaz. Khan’s rising popularity could be a concern for the U.S., given his harsh criticism of the Pakistani government’s cooperation with Washington in the fight against Islamist militants. He has been especially critical of U.S. drone strikes targeting militants in Pakistan and has argued that the country’s alliance with Washington is the main reason Pakistan is facing a homegrown Taliban insurgency. 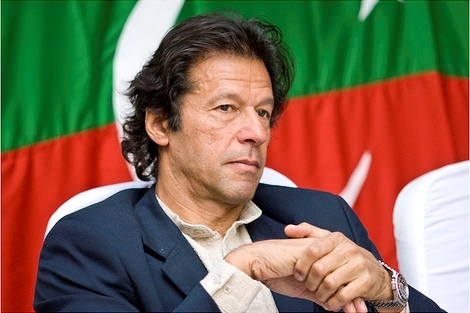 Despite Khan’s rising popularity, it’s unclear how much he can shake up the political scene in the next national elections in 2013. Both the PPP and the PML-N have strongly entrenched bases of support that will be difficult to challenge. It’s also unclear exactly what Khan would do if he did win significant political power. He has yet to offer many specifics about how he would fix problems like corruption. "People are sick and tired of these old political families who pretend that they are protecting democracy. People are sick of them plundering the country. Their wealth is lying outside. Their interests are outside. Their properties are outside. They don't pay any taxes. And then it's family parties. So, the father's already preparing their sons to take over. This sort of politics has become redundant in Pakistan because Asif Zardari co-opted all the political parties in this broad coalition, and he gave them a piece of the cake. While they were all enjoying the perks and privileges of power, a wild caption was going through the roof. Never have people suffered in Pakistan as now. " "Let me get the record right. All the parties, all political parties supported Musharraf against Nawaz Sharif because Nawaz Sharif was going to bring in the 15th amendment where he would have become the Amir-al-Muminim - he would have become the commander of the faithful. Using a Shria law, he would have just assumed dictatorship powers. So, we all stood up against him. When Musharraf came in and he announced that he had ended sham democracy and was going to bring in general democracy, all of us supported him. " Geoffrey Langlands, teacher of #Lahore elite, says #PTI chief #Imrankhan was a mediocre student at Aitchison College. He says Farooq Leghari and Aitazaz Ahsan and Ch Nisar Ali Khan were good students. He also taught Bugti kids but he didn't think much of them as students at Aitchison College. Purana Pakistan has six characteristics. One, elected leaders treat state assets as their personal estates. Two, elected leaders mutate civil servants into their personal serfs. Three, taxes are collected and then spent to fulfil rulers’ priorities. Four, monetary rewards of political power are extremely high. Five, there is massive under-investment in human capital. Six, power projects are being inaugurated that would produce power at an astronomical rate of Rs41 per unit. Here are the proofs of the above six. One, Rehman Malik had a PIA aircraft wait for him for two long hours. Two, on June 17, Punjab Police killed 14 unarmed citizens. Three, budgetary allocation for the National Disaster Management Authority (NDMA) is Rs160 million while the annual budget for the PM House is Rs770 million. Four, Pakistanis are getting more and more indebted by the minute while assets of the ruling class keep on increasing by the day. Five, Nigeria is the only country on the face of the planet with more out-of-school children than Pakistan. Six, the cost of the Nandipur Power Project has gone up from $329 million to $847 million and if diesel is used to produce power it will cost Rs41 per unit. This is what purana Pakistan is mostly about. Admittedly, Imran Khan has no comprehensive blueprint for Naya Pakistan; neither does Allama Tahirul Qadri. What they have done, however, is exposed the purana Pakistan to 180 million Pakistanis. And Pakistanis hate what they see in purana Pakistan. Here are the proofs that Pakistanis hate what they see in purana Pakistan. One, passengers threw Rehman Malik off the PIA aircraft – something that has no precedence in our political history. Two, police high-command has now started demanding written orders from their elected leaders in order to shoot at unarmed citizens. General (r) Mirza Aslam Baig, for reasons only known to him, may want to call it a foreign conspiracy against Pakistan but, to be certain, throwing Rehman Malik out the PIA aircraft is no American conspiracy against Pakistan. To be sure, police high-command demanding written orders from their elected leaders is no Jewish conspiracy against Pakistan. This is all about Pakistani middle class revolting against purana Pakistan. Naya Pakistan has to be a contractual state. Naya Pakistan has to have a social contract between the voters and their elected leaders. The social contract must cover three things. One, who will pay taxes? Two, how much taxes will be paid by each taxpayer? Three, how will these taxes be spent? Naya Pakistan has to have three things – elections, accountability and a responsive government (purana Pakistan has had plenty of elections but neither accountability nor a responsive government). Here are four steps to a naya Pakistan. One, alter spending priorities as per voters’ needs and demands. Two, invest in education and health. Three, invest in justice. Four, privatixe all public sector enterprises in a competitive, transparent process. The constitution is not under threat. The democratic system is not under threat. Yes, the old political order is under threat. And, yes, the custodians of the old political order are feeling threatened. The ground-breaking ceremony of Shaukat Khanum Memorial Cancer Hospital and Research Centre in Karachi would be held on December 29, 2016. Pakistan Tehreek-e-Insaf's chairman Imran Khan, who is also Chairman Board of Governors Shaukat Khanum Memorial Trust will lay the foundation stone. In February this year, the then Chief of Army Staff General Raheel Shareef had granted a 20 acre plot for the construction of the cancer hospital in Defence Housing Authority located at the Karachi-Hyderabad Super Highway. A statement of Shaukat Khanum Memorial Trust said, "The construction of a comprehensive cancer diagnosis and treatment facility in Karachi will not only provide the most modern cancer treatment to the people of Sindh, but will also help raise healthcare standards and provide training and employment opportunities in the region." It is Shaukat Khanum Memorial Trust's third Cancer Hospital and Research Centre in the country. Trust has already established two hospitals - one in Lahore and the other is in Peshawar.